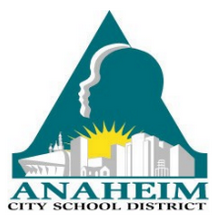 On Tuesday, the Anaheim City Council will vote on a resolution supporting students’ “equal access to a quality education,” specifically pointing to charter schools and the rights of families to use the Parent Trigger Law (also known as the “Parent Empowerment Law”). These two portions are clearly in response to the request by the Anaheim Union High School District for direct City funding of that district, which was agendized for the Council meeting by Mayor Tom Tait. The resolution was agendized at the request of Councilwoman Kris Murray in response to the Tait item to provide direct City funding to the Anaheim Union High School District. The City of Anaheim urges all seven school districts to actively inform parents of their legal rights under the California Parent Empowerment law and its Parent Trigger provisions, and to support and not in any way legally hinder or cease existing legal efforts to challenge parents exercising their legal rights as authorized by state law.